Arroz caldo is probably every Pinoy’s best comfort food. A Filipino interpretation of congee, Arroz caldo is a popular breakfast dish or midday snack often served in local eateries and even in 5-star hotels. This hearty meal is made with chicken and rice and seasoned with garlic, onion, ginger and fish sauce. 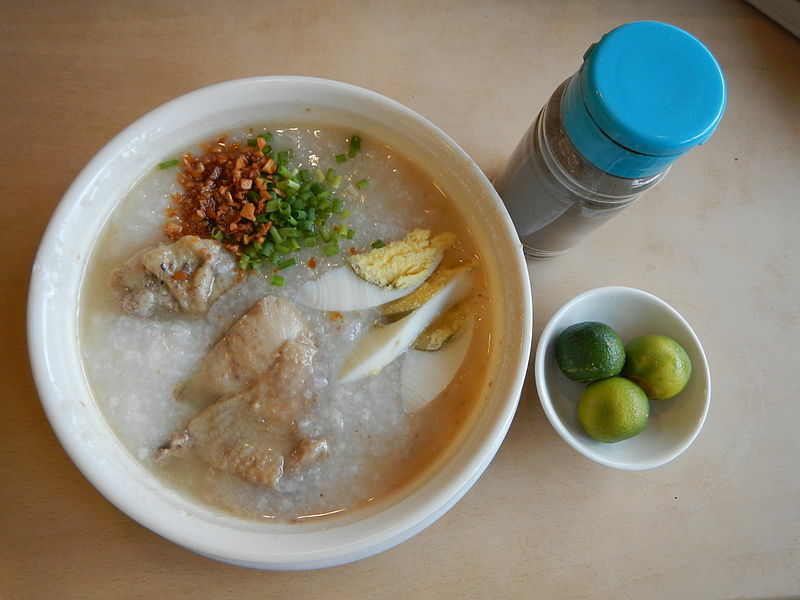 Food vendors often sell Arroz caldo with other types of congee such as lugaw (plain congee) and goto (congee with innards, beef and tripe). Selling arroz caldo is a great home-based food business idea since it’s very easy to prepare and can be done at the comfort of your home. Here’s a simple Arroz caldo recipe you can follow. Saute garlic, onion and ginger in a pot. Add chicken cube and cook until the cube melts. Add chicken and cook until the outer layer turns golden brown. Add fish sauce and uncooked rice. Mix and cook for a few minutes. Pour water and bring to a boil. Stir occasionally. Simmer for about 30 to 40 minutes until the rice is fully cooked. For additional color and aroma, add safflower. Add fried garlic, minced scallions and calamansi before serving. Note: This recipe yields 6 servings. Arroz caldo is usually paired with tokwa’t baboy, another Filipino dish which is very easy to prepare.